GH Induction Atmospheres (GH IA) is a leading American provider of innovative industrial heating solutions for automotive, aerospace, medical and energy production applications. We are an experienced industrial heating system integrator working solely with induction-based technology. We design and manufacture customized, turnkey induction heating systems for industrial heat treating, brazing, welding, hardening and general purpose heating. GH IA was founded in 2002 with just 4,000 sq. ft. and four employees, and grew steadily. In February 2010, GH Electrotermia S. A. (GH) purchased a majority interest in GH IA. GH IA occupies 34,000 sq. ft of space in Gates, a suburb of Rochester, NY. Current employment is now over 30. GH Induction Atmospheres is part of the worldwide GH Group. GH Group is one of the largest most experienced induction heating companies in the world with headquarters based in Valencia, Spain, and affiliated Companies in Germany, France, Mexico, Brazil, Argentina, India and China. 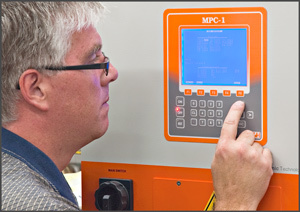 Founded in 1961, GH Group has decades of experience in providing manual and automated production systems for induction heat treating, has also developed innovative power supplies able to cover wide frequency ranges and systems for gear tooth hardening, wire and cable heating and pipe welding. GH has over 4000 installations in more than 50 countries serving some of the most discriminating customers for induction heating and heat treating. 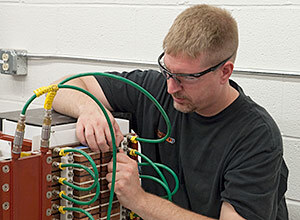 Your heating process is unique – you need a very specific heating solution to match your specific process requirements. So you shouldn't have to settle for an off-the-shelf heating solution that "comes close" to meeting your specifications. At GH-IA, we take pride in fully meeting and even exceeding your process requirements with custom-designed heating solutions. Our professional team thinks differently, adds real business value and will works closely with you to deliver innovative induction heating solutions. Count on us to adopt a unique yet cost-effective approach to every client challenge. GH IA has grown steadily since its founding in 2002. GH IA is located in a suburb of Rochester in Upstate New York.